Brendan Rodgers made it four wins in a row as Leicester City boss as his side produced a brilliant attacking display to thrash Huddersfield 4-1. Leicester dominated majority of the first half and scored after 25 minutes through the highly rated Youri Tielemans. The Belgian curled in an exquisite finish from the edge of the box past Ben Hamer, who was unsighted. The goal sparked a frenzy of chances particularly for Rodgers' side with Demarai Gray and Tielemans again having shots saved. Huddersfield did have some moments which pressured the Foxes' defence but went in at half time 1-0 down. Straight after half time, Jamie Vardy tapped in from a perfect cross delivered by Ricardo Pereira. An action packed start to the second half then saw the referee award Huddersfield a controversial penalty for a foul on Karlan Grant which Aaron Mooy dispatched. With 20 minutes to go, Kasper Schmeichel made a world class save to deny substitute Steve Mounie. Crucially, Leicester then showed their quality through James Maddison - who scored yet another free kick to make it 3-1 - and then Jamie Vardy smashed home a penalty for 4-1 as Huddersfield capitulated in the second half. Since Brendan Rodgers has taken over from Claude Puel at Leicester City, the Foxes have looked stronger and stronger as he has had more time to work with the players. Despite his first match in charge ending in defeat to Watford, Leicester went into their encounter with Huddersfield on the back of three wins in a row. 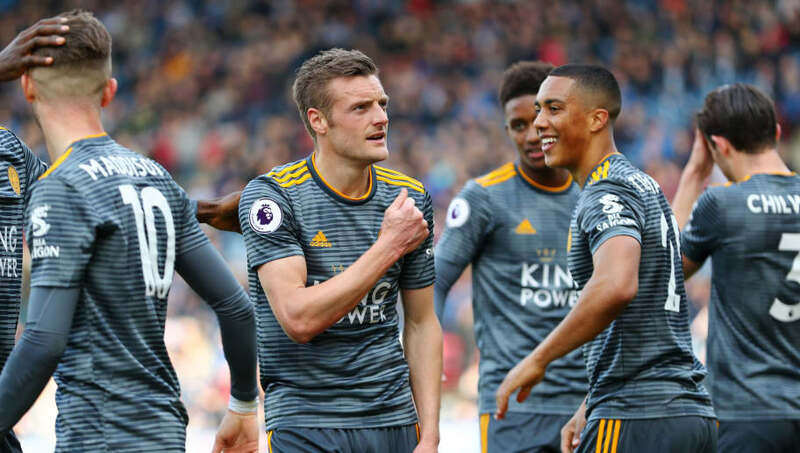 Key players such as Wes Morgan, Jamie Vardy and Youri Tielemans have all shown huge improvements in their form and continued to do so against Huddersfield. The young Belgian midfielder, on loan from Monaco, has been exceptional and rumours have been circulating that Manchester United are interested in signing him.  Dip. Wobble. Swerve. Goal. Tielemans and his teammates had to focus on their match with Huddersfield many saw as a certain win for the Foxes even though Johnny Evans and Harry Maguire were unavailable. The 21-year-old opened the scoring to continue his impressive form under Rodgers. Vardy doubled the lead for Leicester after the break and looked to be cruising until Caglar Soyuncu gave away a penalty which Leicester players were irate about. Replays showed that the Turkish international had won the ball. However, the Foxes did not let the penalty stop them and went level on points with Wolves in seventh position in spectacular fashion. In what looks like the best bit of business completed by a Premier League side in the January transfer window, Tielemans has been near perfect since signing on loan for Leicester from AS Monaco. He opened the scoring against Huddersfield and it now looks as though the Foxes will have to fight off Europe's biggest clubs if they want to sign him in the summer. Jan Siewert's Huddersfield side have endured a miserable campaign but with their fate already sealed, the Terriers can now approach matches with a nothing to lose attitude. One standout player for them in recent weeks has been Karlan Grant, who has emerged into the starting lineup as their sole striker. The 21-year-old's form bodes well for Siewert's side next season. However, the German's future was more of a talking point having been subject to uncertainty until chairman Dean Hoyle reaffirmed his position this week. A win for Siewert in front of their home crowd would have significantly boosted the fans' confidence in him but found themselves losing at half time. After going 2-0 down, the Terriers fans were treated to a rare goal from the penalty spot as Aaron Mooy halved the deficit. This ignited new hope into the Huddersfield team and substitute Steve Mounie nearly equalised as they pushed to make it 2-2. Despite their good reaction, it was more doom and gloom for the Terriers going 3-1 and then 4-1 down at home. Huddersfield's marquee player sent Kasper Schmeichel the wrong way to score just their 19th Premier League goal of the season. Given that the Terriers are set for a return to the Championship after two years in the Premier League, the Australian's future could lie elsewhere as he has certainly shown quality across two consecutive campaigns. Already relegated Huddersfield face a tough month in April as they travel to Tottenham Hotspur's immaculate new stadium to meet Mauricio Pochettino's side before hosting an in form Watford. Brendan Rodgers' Leicester City host Newcastle next in the league before travelling to east London, where they meet West Ham. The Foxes will want to finish the season strongly as they hunt for a top seven finish.